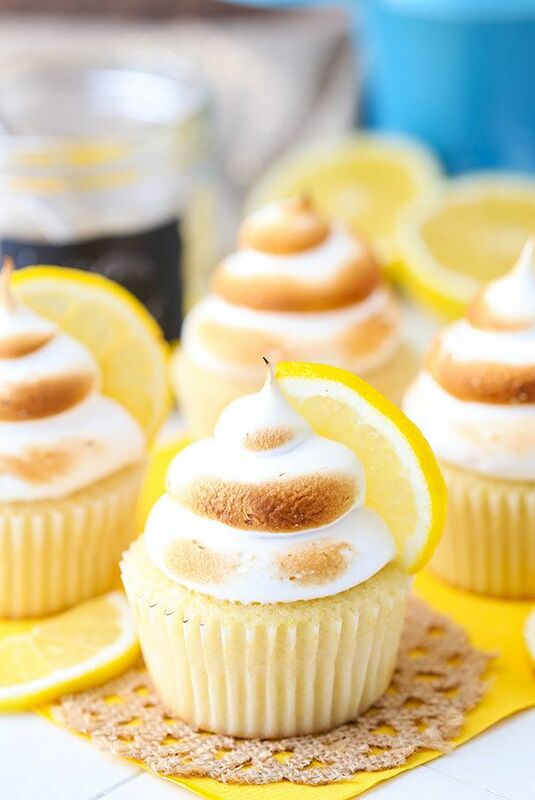 These beautiful lemon meringue cupcakes from Life, Love and Sugar are made with a lightly lemon flavoured cupcake, lemon curd filling and lightly toasted meringue frosting. Refreshing, delicious and perfect for spring! Preheat the oven to 350°F (176°C) and prepare a cupcake pan with liners. Add the flour, sugar, baking powder and salt to a large mixing bowl and combine. Set aside. Add the milk, vegetable oil, vanilla extract, lemon zest and egg to a medium sized bowl and combine. Slowly add the water to the batter and mix on low speed until well combined. Scrape down the sides of the bowl as needed to make sure everything is well combined. Fill the cupcake liners about half way and bake for 15-17 minutes, or until a toothpick comes out with just a few moist crumbs. Remove the cupcakes from the oven and allow to cool for 2 minutes, then remove to a cooling rack to finish cooling. To make the lemon curd, combine all the ingredients in a double boiler (or in a metal bowl over a pot of simmering water). Heat while whisking constantly until mixture thickens and reaches 160 degrees, or coats the back of a spoon. Pour the lemon curd into a small bowl and cover with clear wrap pressed against the top of the curd to prevent a film from forming. Refrigerate until completely cool and firm, 3-4 hours. When you are ready to build the cupcakes, make the meringue frosting. To make the meringue, combine the sugar, cream of tartar, vanilla extract and egg whites in a large mixing bowl. 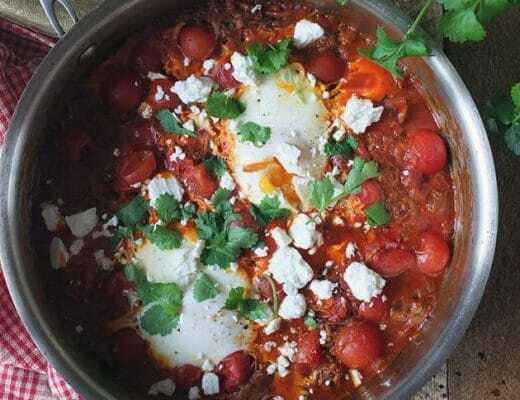 Place the bowl over a saucepan or pot of simmering water. You can also use a double boiler if you have one. Whisk constantly until sugar is dissolved and egg whites are warm, to between 120 and 140 degrees on a thermometer, about 4-6 minutes. Remove from heat. Using the whisk attachment, beat the egg white mixture on a low speed, gradually increasing to high, until stiff, glossy peaks form, 5-7 minutes. To put the cupcakes together, use a cupcake corer (or a knife) to cut a hole in the centre of each. Fill the centre with lemon curd. 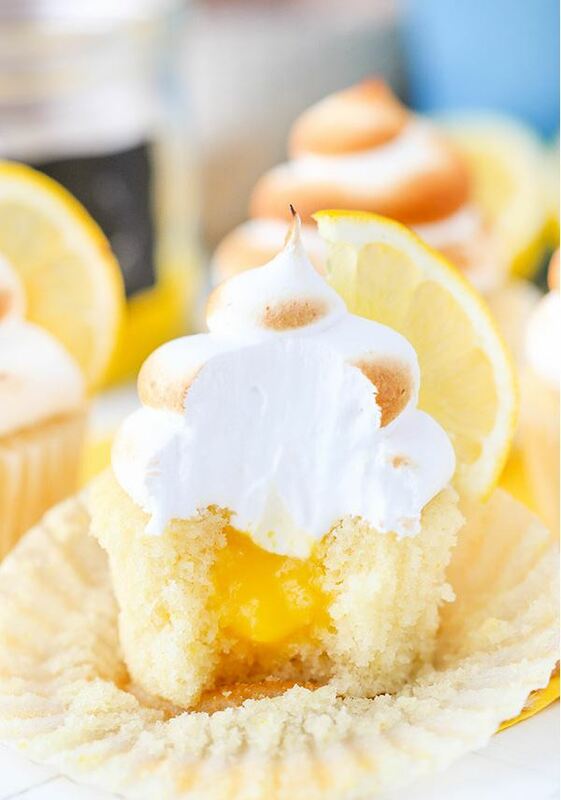 Frost the cupcakes with the meringue frosting. I use Ateco tip 808. 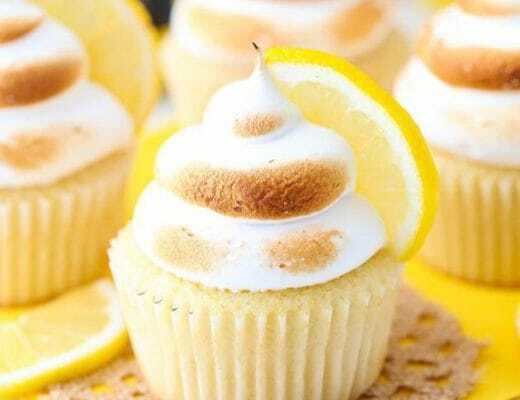 Finish off the cupcakes with a slice of lemon, if you like, then toast lightly with a kitchen torch. Refrigerate cupcakes until ready to serve.